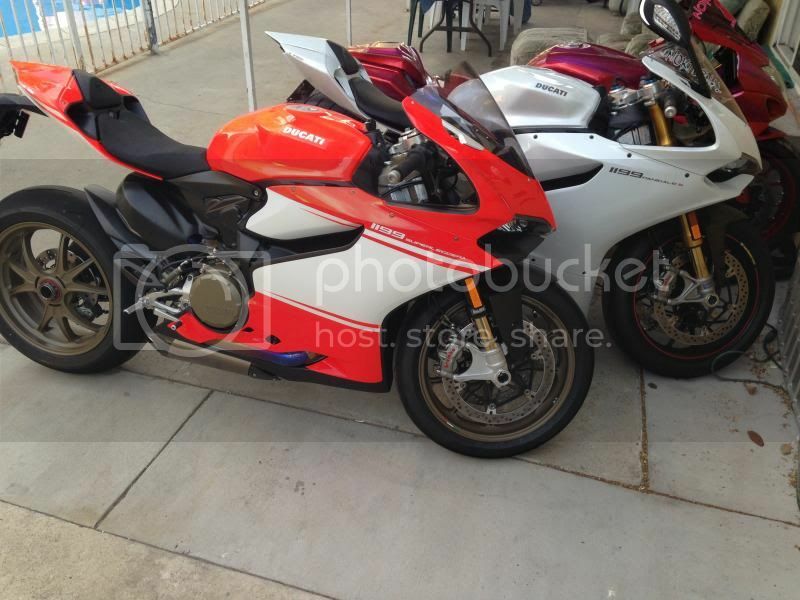 Ducati Superleggera Owner Roll Call! 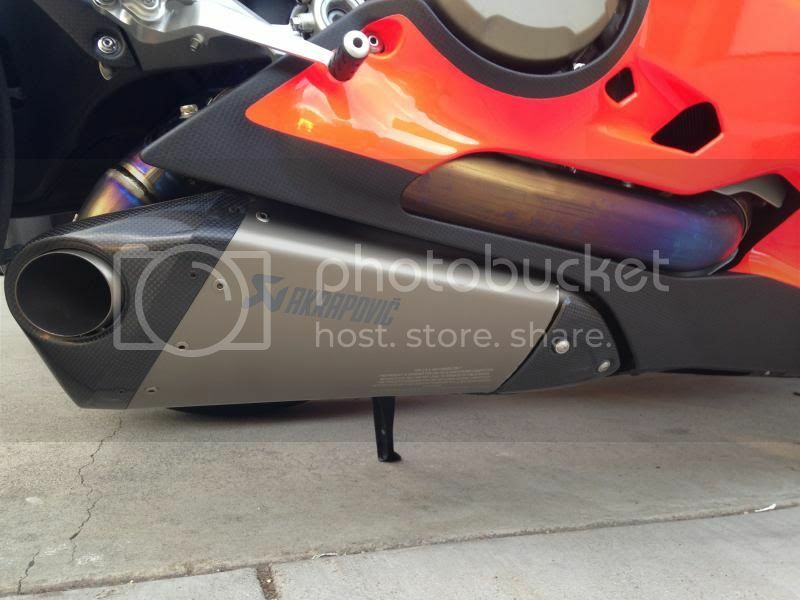 Waiting on break in to install Rizoma rearsets, gas cap, mirrors, break and clutch reservoirs and clear clutch cover. Let's ride! I'll try and keep up on my Tri - seriously - a group rides to Newcombs every Sat am and consider yourself invited! That's funny. You show $2.5M of cars on your signature, and are worried about paying for an SL? That will buy what on an Aventador, brakes? that'll get me a Kreissieg Exhaust for it. thanks brotha! 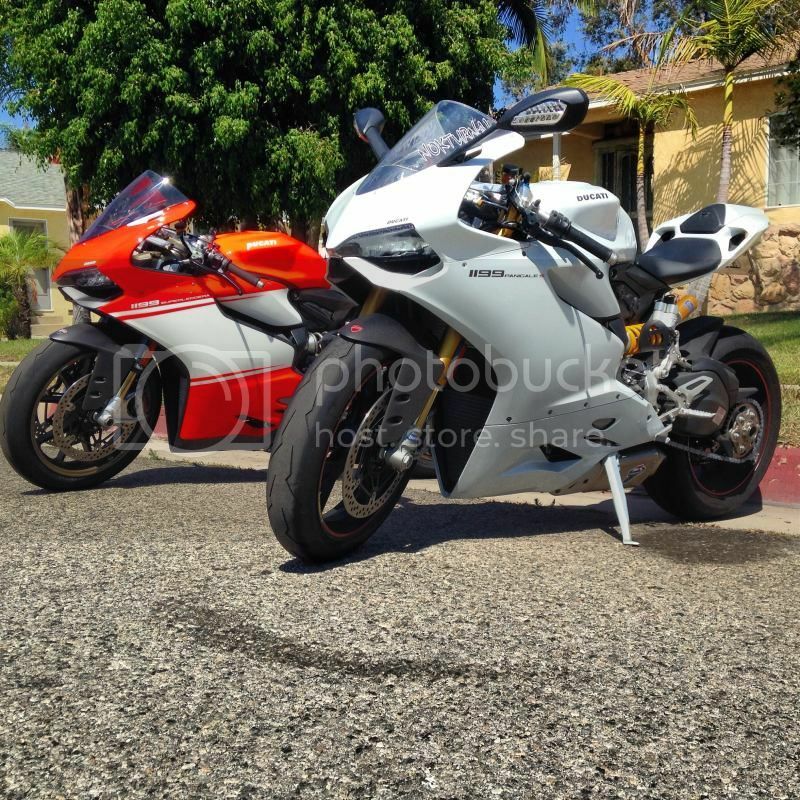 Do you ever ride with the Ducati Westlake crew? They meet there every sunday at 8:30am and go for a ride and have lunch also. Ive been meaning to join up but been busy these last few weeks taking delivery of the new toy. your bike - no big deal. . but asking people to just go up to someones bike whether they are looking or not and snapping a triple tree number and posting the picture along with identifying information in my book is - "not cool". . . It's a common courtesy type of thing. If I go up to someones bike, I would always ask whether I could take a picture before doing so (including the triple tree). I wouldn't just go up to someone's bike and without asking - snap a picture of someones triple tree and post it. . . That's almost akin to snapping a picture of the VIN and posting it - because both are identifying marks. And if you're going to post someone else's property with identifying marks, I think you should have permission before doing so. I've heard that both the Russians and the Nigerians have developed a way to gain access to someone's Debit and Credit card Pin numbers, Social Security number and Bank Account Transfer Passcodes all using nothing more than just the number on their triple clamp. Instead of simply guessing a number between 1 and 500, they're scanning this thread waiting for a number before they make their Machiavellian move. I'll post a "How to remove that damned number on your SL"--once I source an SL and some sandpaper, but until then, consider swapping your Superleggera with someone with an S or a base model, just to remain safe. I happen to have an S, and am happy to allow any SL owner to remain anonymous and financially secure by swapping your bike with mine. 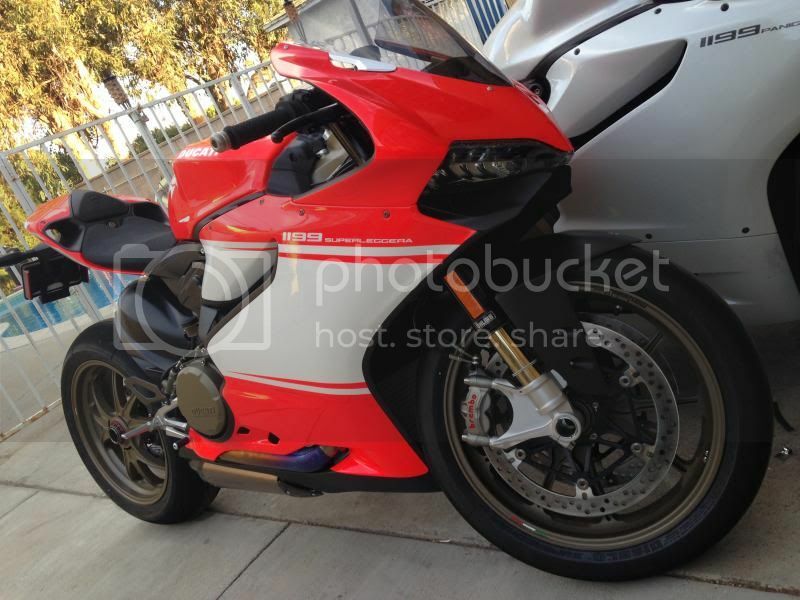 Sometimes there is way too much crying and moaning from Ducati owners. Still waiting for the big copyright infringement lawsuit that will net those unauthorized "Triple-Tree" pics a huge payoff and punitive damages for pain and suffering. I hope to add a pic of my future SL one day! Ha Ha .. that's really funny. ( not aimed at ttkarp) Slight change of subject, it appears some people on the forum just don't get why certain posters cover their plates ?? 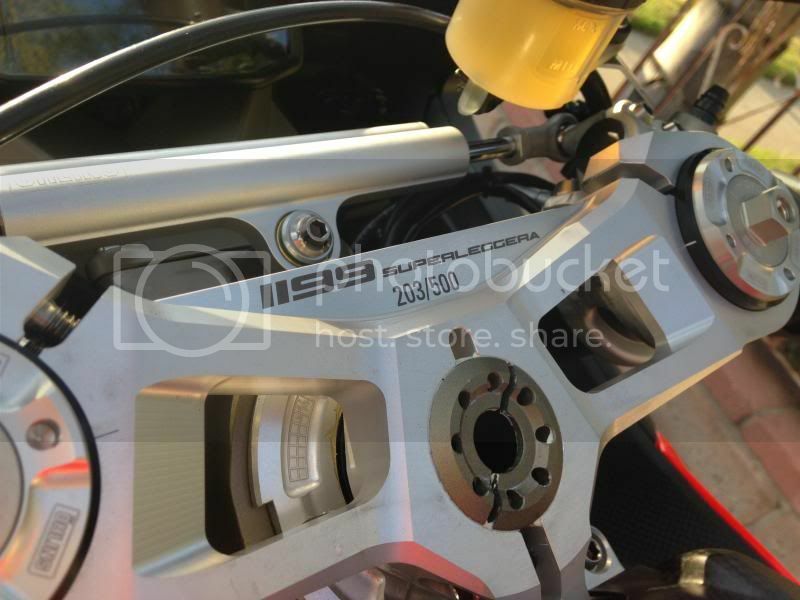 If it is not completely obvious many on this forum have road bikes that contain a number of modifications that cause issues with law enforcement. It is a fact that if you publish your plate then you can be tracked, oh and do not think this has not happened before. Last edited by CaliDuc; Aug 31st 2014 at 12:24 PM. Im buying 25 n 30g scratch games. If I hit one, im goin buy 1 on ebay, NEW.